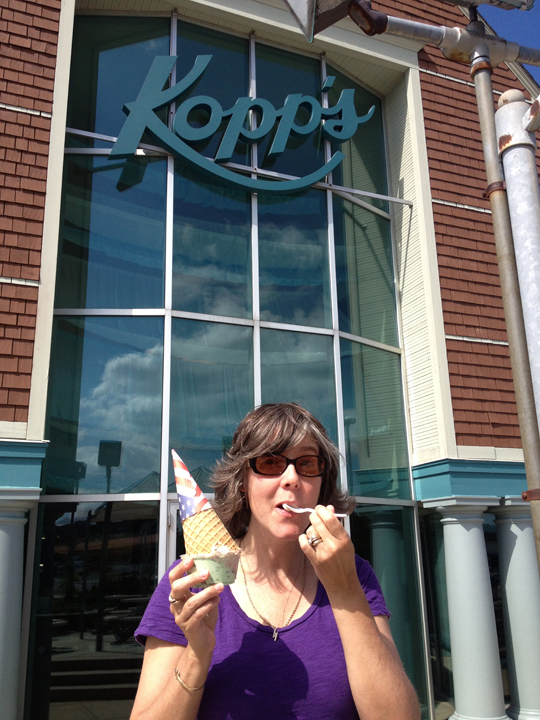 Kopp’s Frozen Custard in Milwaukee – Better than Ice Cream! Ooops – caught eating Kopp’s again! Do you have any places you visit where you must do X, Y, or Z while you’re there? Milwaukee, Wisconsin is where we met (at Marquette University) and is a place we visit frequently. 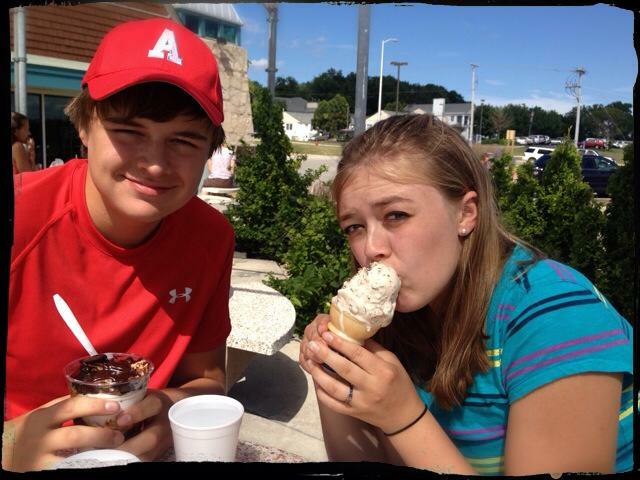 Of course we love to go down to the lake in summer, give the secret password at the Safe House, and stroll around the MU campus, but the one place we never miss visiting when we’re in Polkatown is Kopp’s for their delicious frozen custard. Portland, Oregon, where we live, has some pretty awesome ice cream shops — Ruby Jewel, Salt & Straw, Scoop, Fifty Licks, and more. And these shops definitely do not disappoint when it comes to delicious (and quirky) ice cream. But Portland’s ice creams just cannot compare to the silky, creamy goodness of a cup or cone of Kopp’s soft serve custard. Butter pecan and mocha chip. WOW! 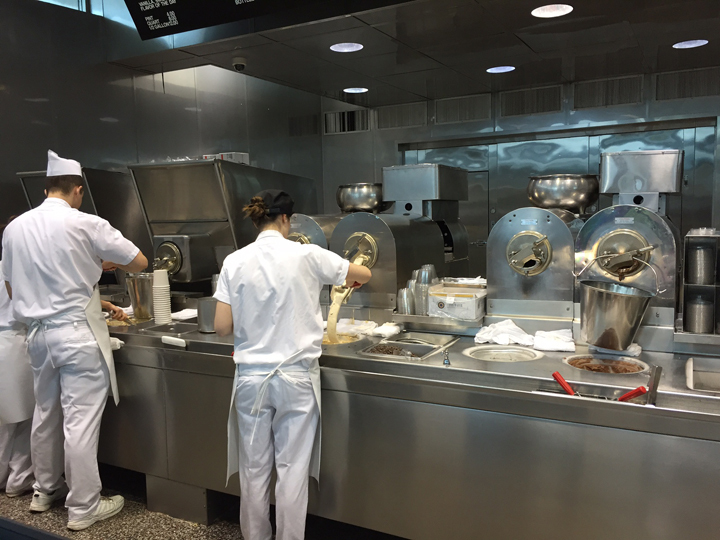 Kopps’s workers dishing up deliciousness. Kopp’s publishes a thirty day flavor forecast which we consult pre-trip to choose the best day to visit. We always hope for turtle sundae flavor which has chocolate and caramel syrup along with pecans as the mix-ins (coming up on 4/26, BTW), all done by hand in the gleaming stainless steel prep area. 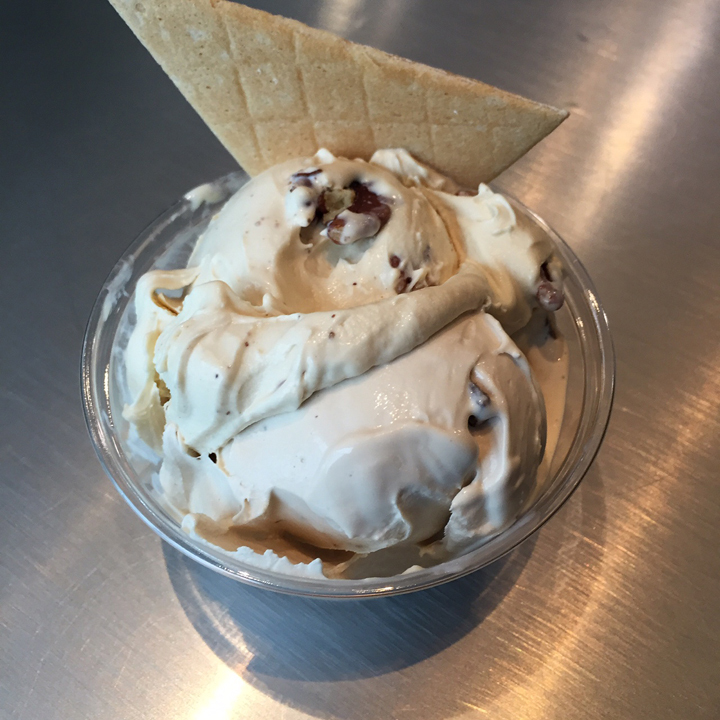 Our most recent visit day featured butter pecan and mocha chips as specialty flavors. (Note: you can do a half and half single scoop!) So much yummmm. A lot of times it seems that those nostalgic stops lose their shine with age and experience (ask Jeff about DQ krunch cones), but Kopp’s is not one of those. If you’re ever in Milwaukee, make sure you stop by Kopp’s and let us know what the flavor of the day is, so we can daydream of deliciousness. Enjoy some Kopp’s on your next visit to Milwaukee, whether it’s for a week or a weekend! Taking the kiddos to Kopps!